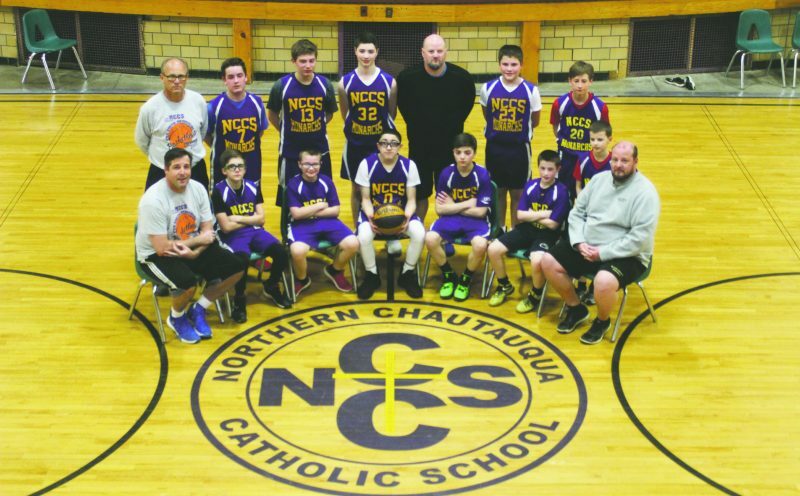 SINCLAIRVILLE — The third quarter was decisive for Cassadaga Valley in a season-opening 41-26 non-league boys basketball win over Falconer on Tuesday night. Falconer held a 16-14 lead at halftime, but the Cougars came up with a 20-5 third quarter to pull away for a victory. Conner Crabtree scored 6 points and Levi Moore added 5 points to key the Cougars in the third. Crabtree led in scoring with 14 points and Moore checked out with 9 points for the Cougars. Crabtree also led in rebounding with 10 while Adam Colon added six. Moore had four steals and Crabtree grabbed three steals while David Peterson and Mark Swanson each had three assists in the win. Adam Goot and Moore also grabbed six rebounds for Cassadaga Valley. For Falconer, Brandon Crick led with 10 points. 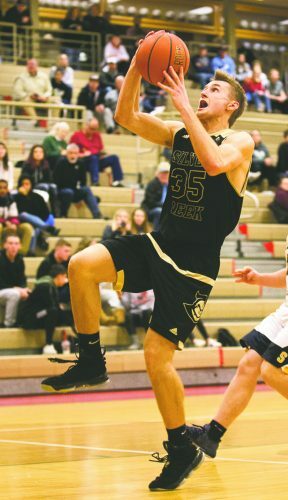 The Golden Falcons made just six field goals and were 12 of 23 from the foul line. The Cougars made 16 field goals to go along with seven free throws. Dallas 2 2 6, Crick 2 5 10, Samuelson 1 0 2, Roman 9 1 1, Young 1 0 3, Wood 0 4 4, Troutman 0 0 0, Colon 0 0 0, Olson 0 0 0. Totals 6 12 26. Peterson 0 1 1, Swanson 1 0 3, Moore 3 3 9, Crabtree 7 0 14, Goot 3 1 7, Sanabria 2 2 7, Ozaga 0 0 0, Barmore 0 0 0, Phillips 0 0 0, Catanese 0 0 0. Totals 16 7 41. 3-point goals-Crick, Young, Swanson, Sanabria.